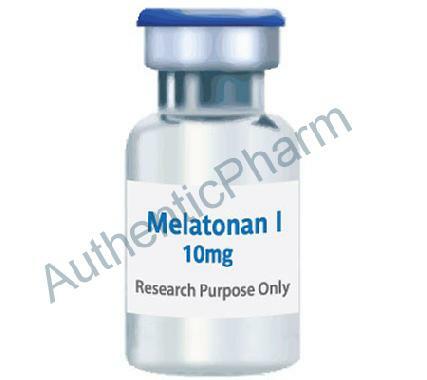 Melanotan I was developed as a potential preventative treatment for various forms of skin cancer. It was thought that by artificially stimulating the internal tanning process among members of the population that were at high risk to develop skin cancer due to sun exposure that one may be able to lower the chances of these individuals from developing the disease later in life. Along with the benefits of providing a tan without the need for extensive exposure to sunlight as well as improved sexual performance and/or desire, Melanotan I also may help to decrease the appetite via targeting an appetite-suppression receptor in the brain. This effect is not an overwhelming one but is noticeable for the majority of users and desirable for many. The duration of the tanning effect of the drug once a user ceases administering it will once again depend on several factors. The majority of users however will notice that the tan achieved with the drug will fade and become unnoticeable within four to eight weeks after ceasing the administration of the drug. For most individuals, during the loading phase with the hormone, a range of between 0.015 to 0.02 milligrams per kilogram of body weight per injection should be sufficient. These injections would take place anywhere from twice daily to as infrequently as once every other day or longer. For the maintenance phase many individuals will find that a dose of approximately 0.01 milligrams per kilogram of body weight administered once every few days should be sufficient to maintain the effects of the hormone.